The Saudi royal family announced yesterday its plans to build the world's tallest building which will be over a mile high (5,280 feet). 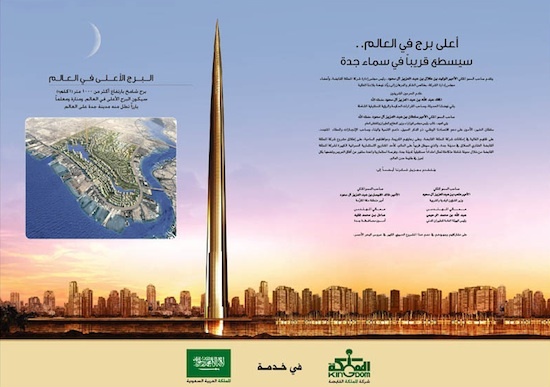 It will be located outside of the port city of Jeddah and will create a new city of 80,000 residents. Kingdom Tower in Saudi Arabia will be 275-stories tall when it is completed and consist of hotels, offices, luxury apartments and a shopping center. 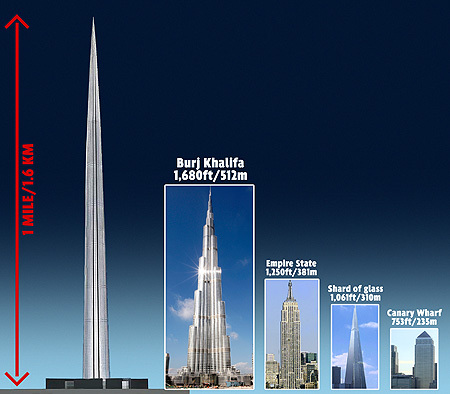 The structure will be twice the height of the world's current tallest skyscraper, the Burj Khalifa in Dubai (which tops out at 2,717 ft). 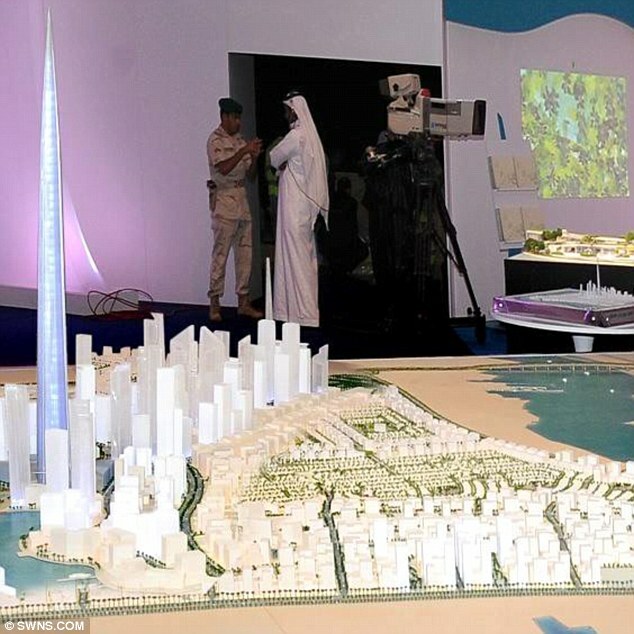 The Kingdom Tower project is so large that it'll cost $30 billion to construct. 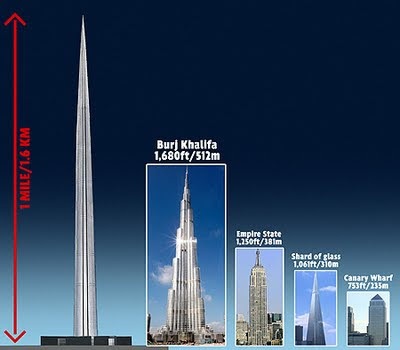 To get to the top from the ground floor, an elevator ride would take an estimated 12 minutes to ascend. I was just going through few sites and blogs and came across your site http://markgsmusings.blogspot.com too. I was impressed by the way you have presented your site. Your content is to be appreciated. So I was just thinking if I could also help you build a great site. I am a freelance content writer and I love writing articles. I could provide you with great and original articles on television and cable tv. I can provide a unique article as a Guest Post absolutely FREE!! As you know "Content Is King", I am ready to help you to make your site the BEST. An article that will be informative for your readers. The article will be totally related to your website and will be appreciated by your readers. It would be great if you can add a small BIO of mine at the end of the article with my related site's links. I guarantee you that the article will be 100% copyscape protected and will be of around 500 words. I hope you like the idea.Do contact me and I would be glad to add quality content to your site.